Enterprise-wide Process Mining software Achieve process excellence with Minit’s actionable insights into your business processes. Process excellence in every industry Stay ahead of competition thanks to innovative process mining technology. See how Minit transforms your business Allow your business to reach its full potential with innovative process intelligence solution. All of Minit's Process Mining content in one place Available as free download. Business process management? Data mining? Process mining? You’re hearing these three terms mentioned in a lot of meetings, and to be honest, you’re not sure they aren’t actually the same thing. Well, they’re not. Let us demystify these business ideas for you, where they do indeed overlap, and more importantly where they definitely diverge. Don’t worry if that didn’t clear anything up, we’re coming to the clarity shortly. What these definitions do give us is a starting point. What we can see is that Process mining sits roughly in the overlap between Business process management and Data mining. It uses algorithms and other tools developed by data scientists to analyze the processes developed during a companies BPM lifecycle. BPM is the operations level view of the processes being used by any specific department in a company. The BPM lifecycle generally includes the following stages: design, modeling, execution, monitoring, optimization, and re-engineering. This is an ongoing process often managed by a dedicated business process manager and an interdisciplinary team. BPM can be applied to the manufacturing floor, the finance department, and IT equally, as all departments use processes to make work happen. This is the framework within which these processes are created and managed. Historically, these stages were managed manually, with even the analysis consisting of employee interviews and models being drawn up using modeling software. We’ll see later how process mining can make the BPM lifecycle much more efficient and effective by taking the routine work off of your team’s hands, allowing them to to the higher level modeling and re-engineering work. Data mining is the science of sifting through massive quantities of raw data, and turning it into useable information that can be readily understood, and acted upon, by the masses. There is both an art and a science involved. Data mining sits at a junction of its own, between statistics and computer science. Data scientists use algorithms to sift and sort through massive amounts of raw data in order to make sense of what the data is saying, then transforms it into actionable information for marketing and sales teams, software designers, and nearly every other department of most companies. When companies like Facebook and Google have anonymous data relating to internet users browsing habits, it’s the data mining teams who take that data and tell the ads team where to target ads for hair care products vs home improvement products. As you’ll see shortly, there is much overlap between data mining and process mining. Alongside it’s major strength of sorting massive amounts of data, however, there is one area where data mining shows it’s weakness—processes. And that brings us to the star of today’s article, process mining. Process mining emerged several years ago from the BPM world, integrating the use of algorithms from the data mining world in order to analyze the event log data that exists in most IT system within a company. In short, process mining is the use of data mining techniques to sort out business processes with the end goal of streamlining and simplifying them to the benefit of the company’s bottom line. Process mining is accomplished by a layer of software that sits on top of your IT systems (SAP, ERP, etc.) and it reflects the actual performance of your business processes. The BPM cycle gives you the ideal process, process mining gives you the actual process. This is a non-invasive procedure, despite how it sounds. An IT department can export the event logs from your IT systems overnight, then the next day, your team can sit down and feed those exports into your process mining software, which will set about creating a visual mapping of your processes in real time. This view can then be compared to the map that was created as part of the BPM cycle, giving you the most accurate picture possible of where any bottlenecks, inefficiencies, or gaps may exist in your processes. When it comes time to analyze the processes put in place during your most recent BPM cycle, using process management techniques and software automates the routine, formerly manual, task of establishing a real-world map of your processes in action. BPM gave you the perfect world outline, process mining gives you the version after humans get their hands on it and points out the highs and the laws of the process. Using full strength data mining on your process analysis would entail hiring PhDs in computer science and turning them loose on all your company’s data. Then waiting for them to design algorithms to sort through just the specific pieces needed to craft a map of your business processes. Contrast that with process mining, and you’ll see that with a simple export of event logs from your IT systems, anyone can craft the same map in far less time and with far lower expense. As part of initial operational process design. Assess existing processes and help highlight where they need to be streamlined before you ever compose an initial process map. As an auditing tool. Occasionally running an analysis on your event logs will tell you if any inefficiencies have snuck back into the process so you can nip them in the bud immediately. As part of a full suite process mining project. Of course, once you see the power of process mining analysis, you’ll understand how powerful this tool can be for other processes within your business. Nearly every department is using IT systems, and these systems all generate event logs that process mining can use to point out pain points, bottlenecks, and inefficiencies. 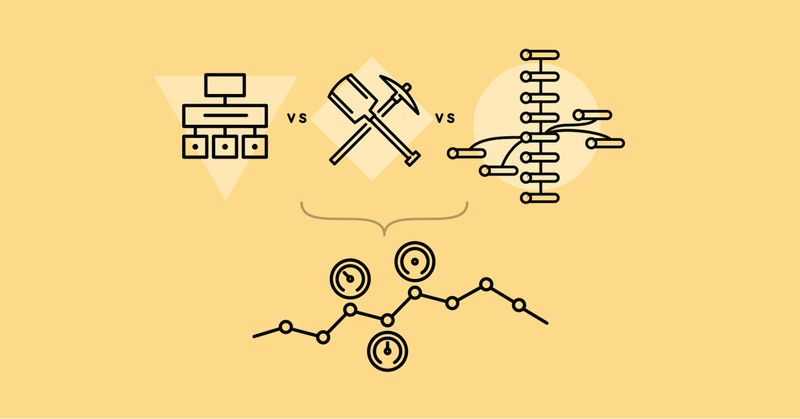 Hopefully this helped clear up the differences, and in some cases similarities, between business process management, data mining, and process mining for you. These are 3 powerful tools to have in any companies arsenal when it comes to organizational processes and how to make them more efficient. Now you can take your newfound knowledge and help your team understand how to best put these tools to use to help your company’s bottom line. Copyright © 2019 by Minit. All rights reserved.